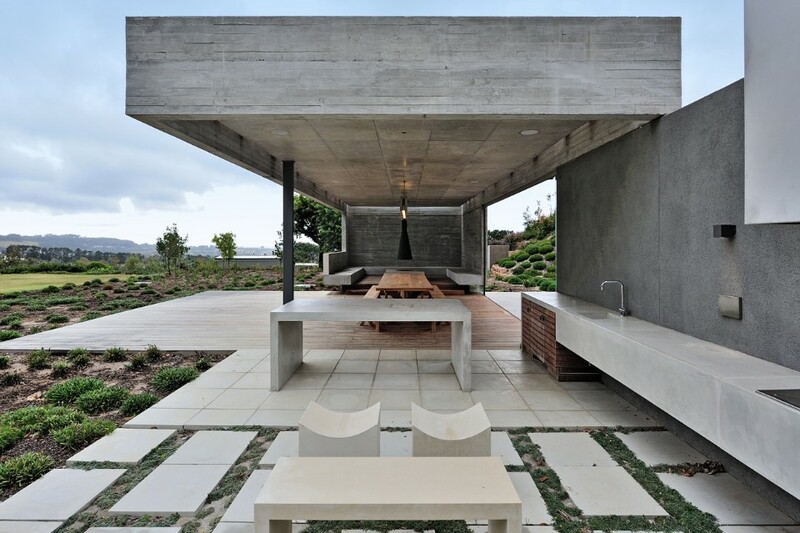 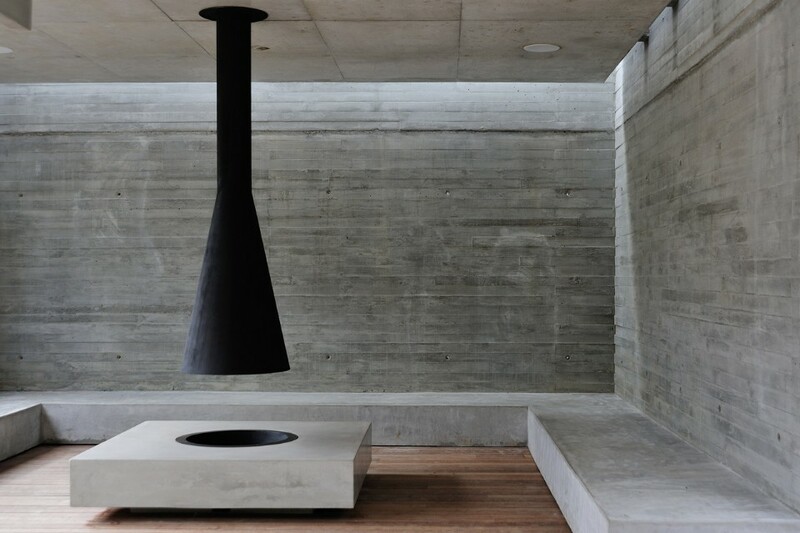 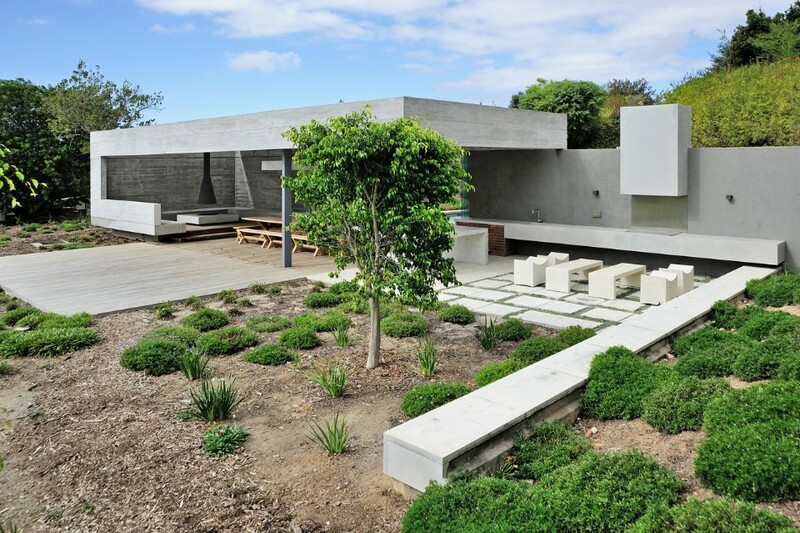 Part of a larger renovation of a house in Cape Town, South Africa, this concrete pavilion was designed to enable the home owners to enjoy their garden. 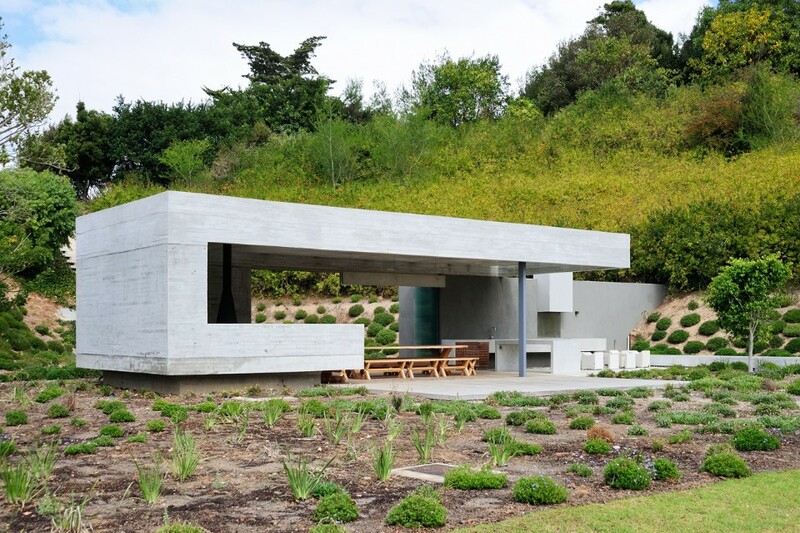 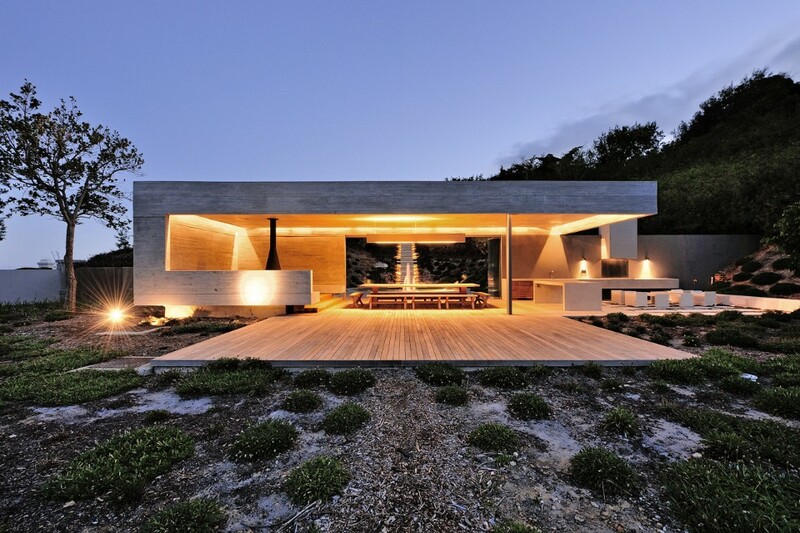 Designed by Metropolis Design, the garden pavilion uses concrete, timber and textured plaster to create a contemporary look. 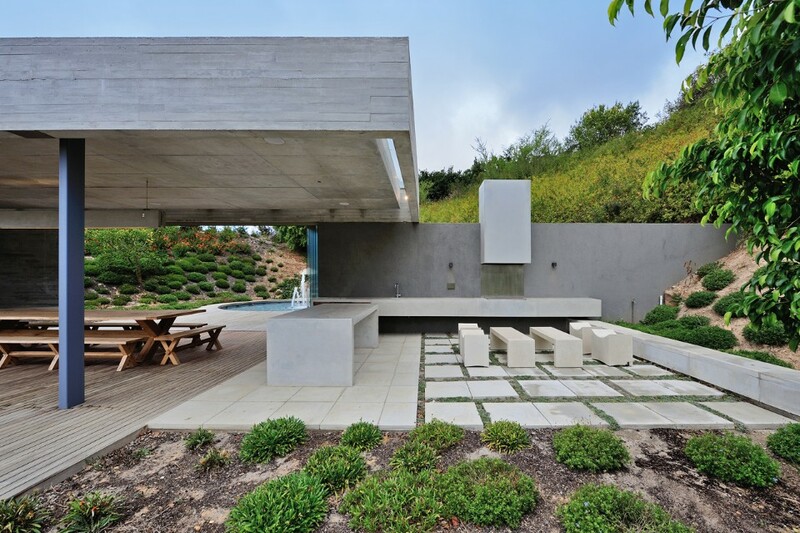 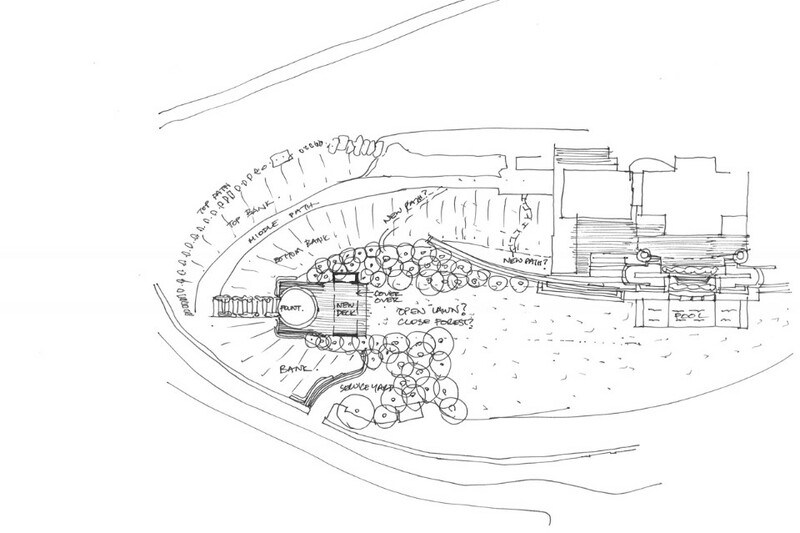 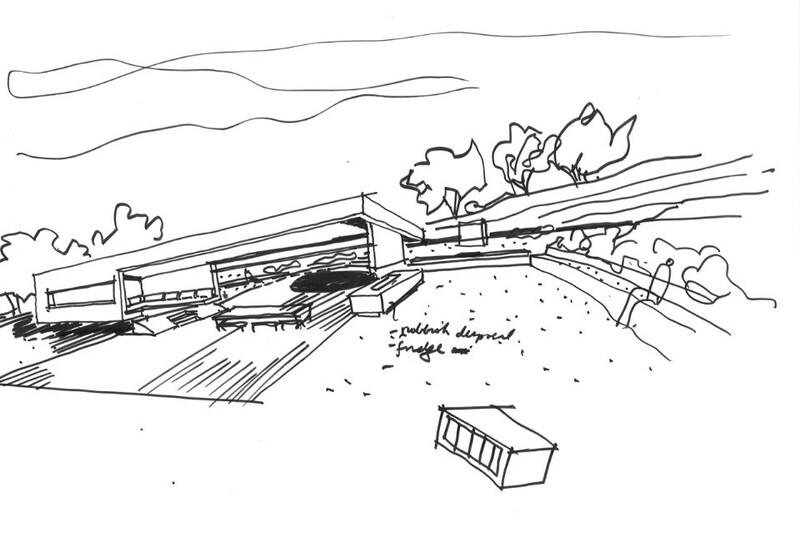 The pavilion has multiple seating areas and an outdoor kitchen, behind the pavilion there’s a swimming pool and water feature. 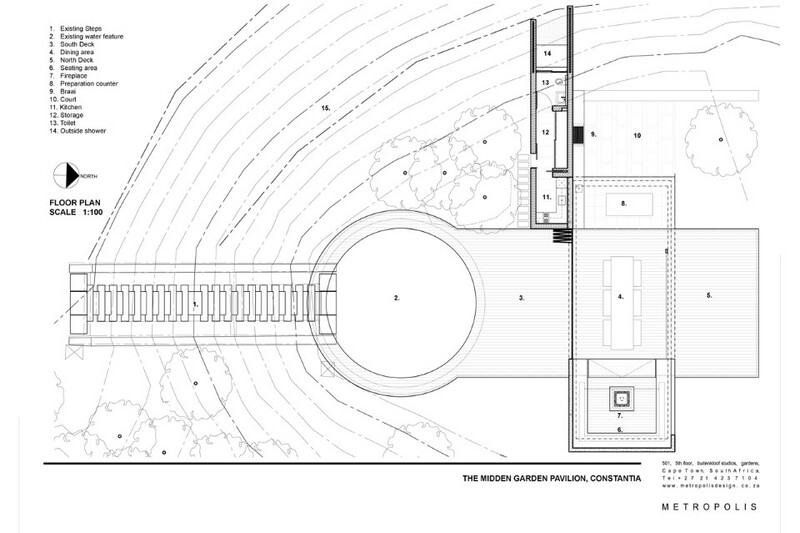 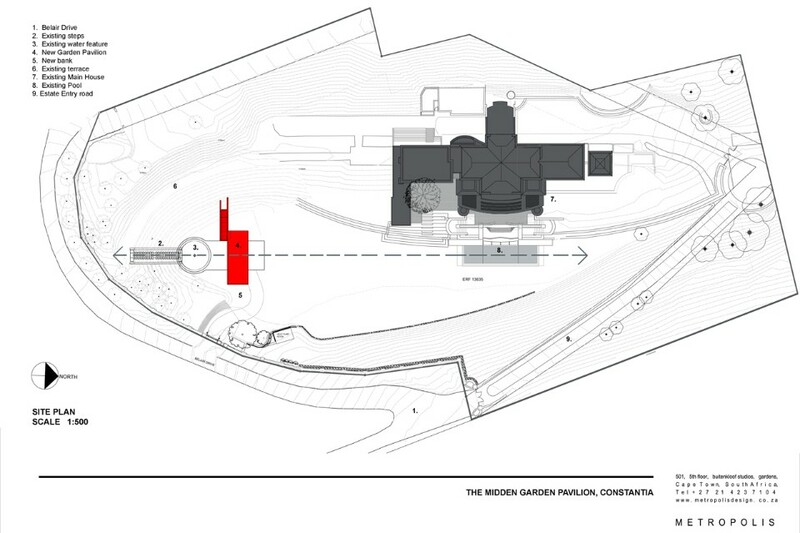 Both sides of the pavilion are open, with hidden lighting highlighting the lines of the architecture. 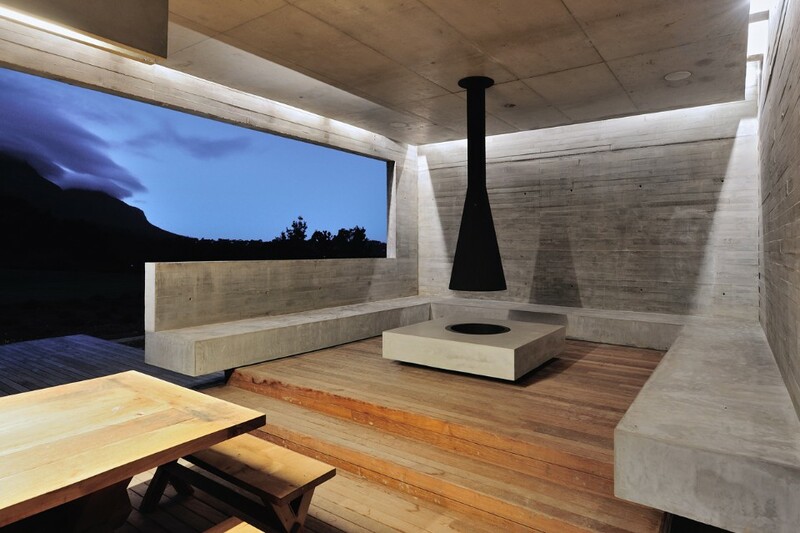 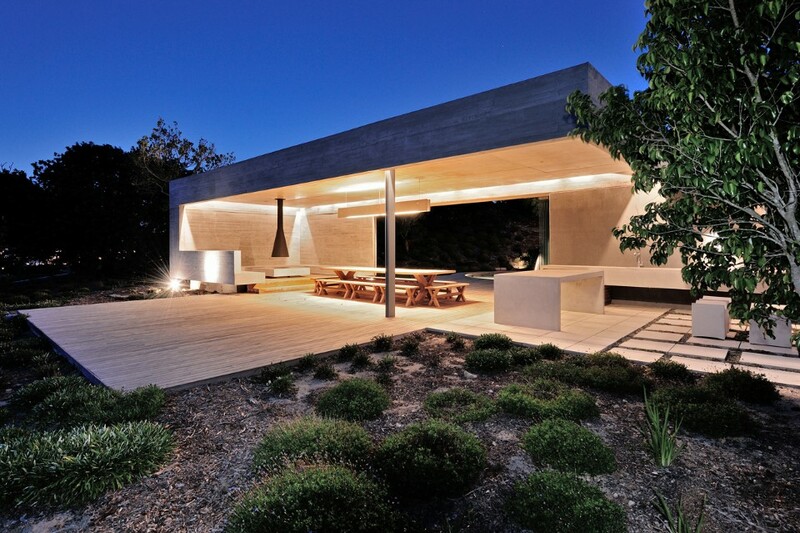 The lighting also makes it possible for the space to be enjoyed at night. 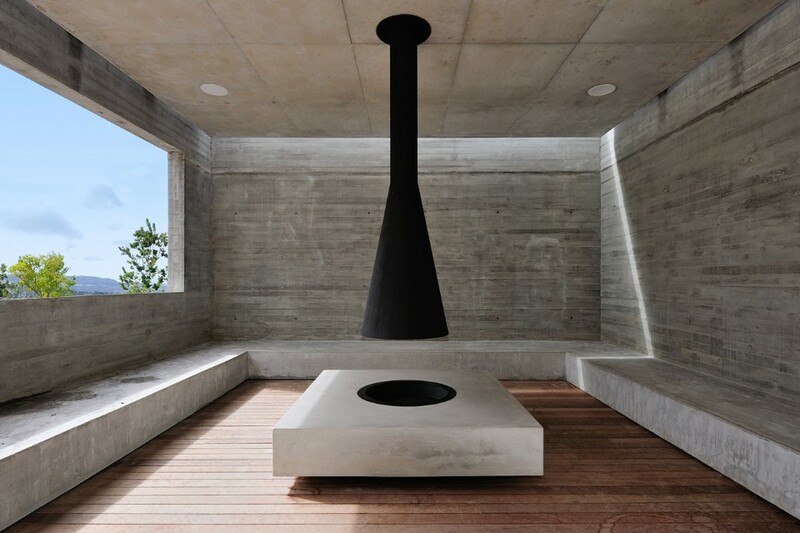 At the opposite end of the kitchen, there’s a raised seating area with concrete benches focused on a centrally located fireplace.